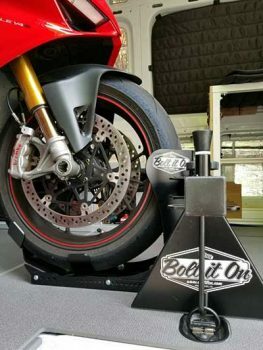 Testimonials - Bolt It On - the Tool Free Motorcycle Tie Down Rack! All I can say is “WOW”!!! Hi Scott, I received the rack last week, on time, but actually had the chance to install and admire it Saturday. As you know this is the second system I have purchased, and all I can say is “WOW”!!! This was truly a custom application and it fits perfectly. I think this time you may have outdone yourself. This side loader has very little room to waste and you make every bit of it count. Also, thanks for the tee! The design is very West Coast!! As always, I owe you big time! Any way I can return the service, please let me know. It’s solid. Works perfectly. No B.S. 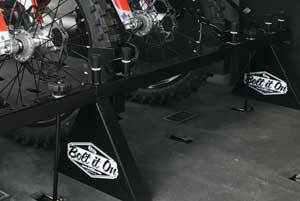 The Bolt It On rack system does exactly what it says it will do. 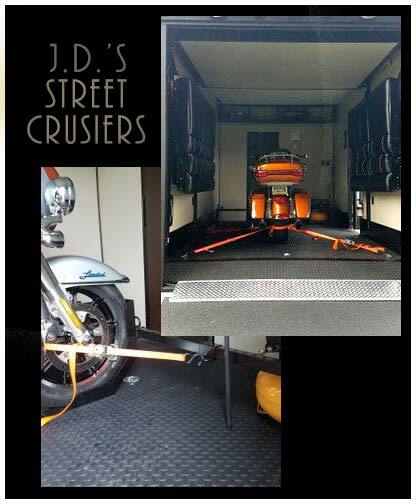 Allow you to quickly tie your bikes down, without having to permanently mount a rack in your van, toy hauler, etc. It’s quick, simple & made to last. 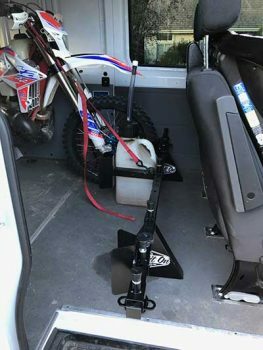 I installed it myself in my Sprinter van (I did not have to drill holes in my floor & no bolts) & tied down my 2 dirt bikes. Then I tested it by taking a drive. To my surprise my dirt bikes did not move around one bit. It’s solid & works perfectly, no BS. Now I have a rack to tie my dirt bikes down & I can quickly remove it completely, then use my van for anything else I wish to. 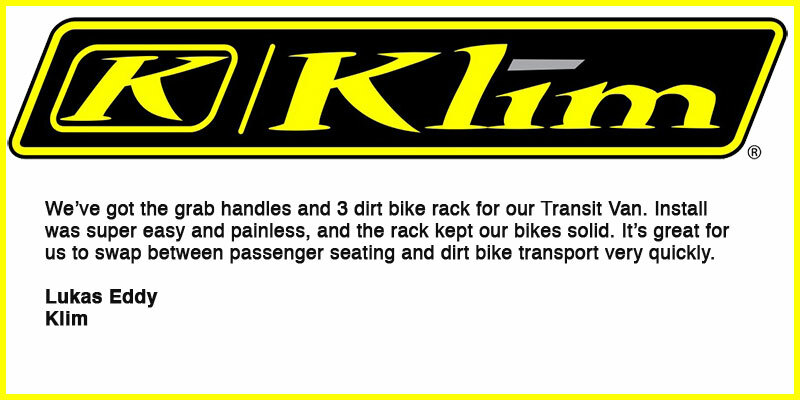 If your looking for a quality rack to tie your bikes down & be completely removable quickly, look no further. Thank you for the great product guys! Plus it’s made right here in the U.S.A. American made! Favorite activity when using our rack? (ex. 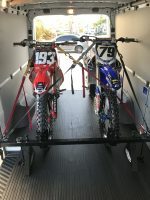 Trail Riding)dirt bike riding via my Sprinter van! 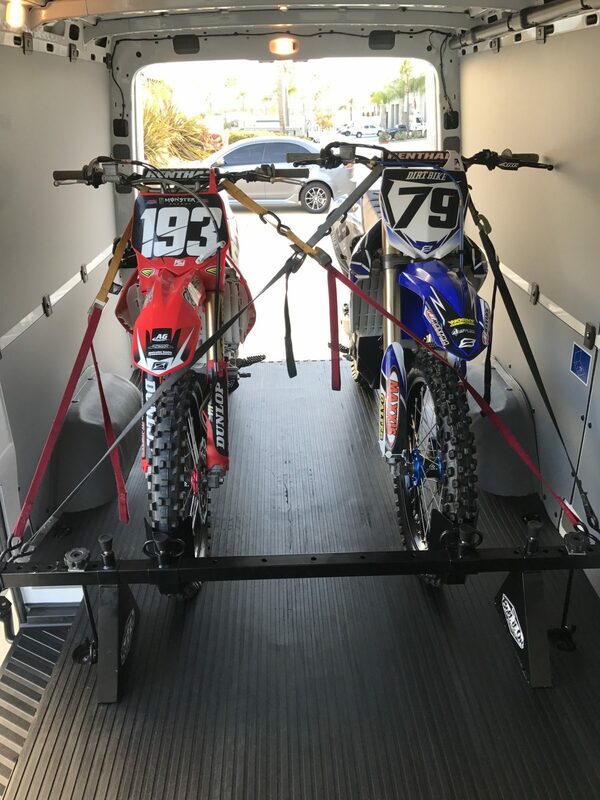 The absolute only way to transport my motorcycles. Bolt It On is the absolute only way to transport my motorcycles. The initial setup only takes minutes and securing the bikes is a breeze. Doesn’t matter if short hauls or long hauls across the country the bikes stay planted. I love that I can take this system out and use it other vehicles / trailers. 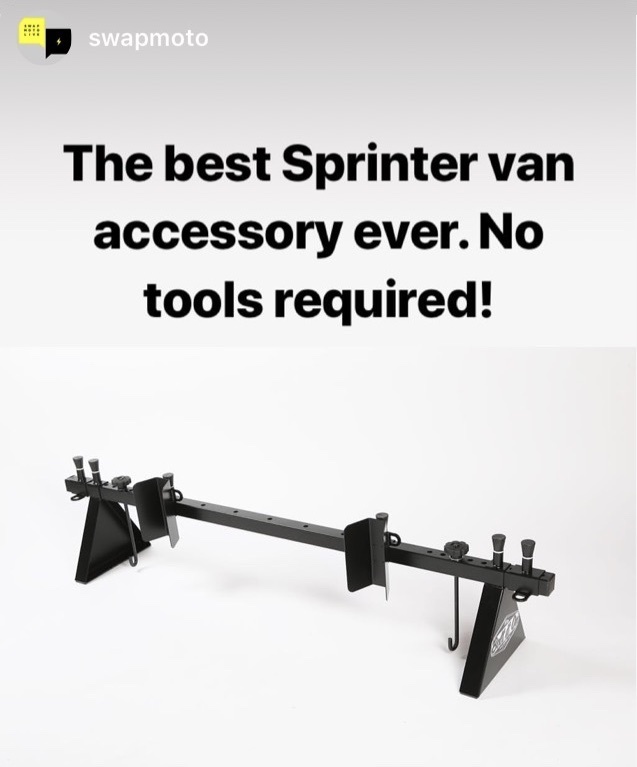 I liked the product so much that I also purchased grab handles for my ford transit van. The quality, fit and finish of the Bolt It On products is top notch. Don’t hesitate to call them either. Scott kept me posted throughout the process and even after to follow up. Thanks so much. This is probably one of the most amazing pieces of engineering I have seen. So simple and so strong! Brilliant! We will splash it over media when we are done! I have a Forest River (17 Wolf Pup 17rp). My bars, leg supports and tie points fit absolutely perfect. So perfect, it’s amazing. 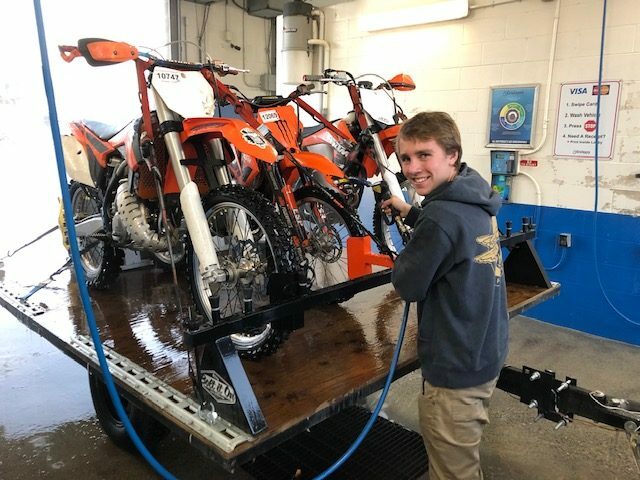 Fitting three bikes is a breeze. Anyways, love your invention. I purchased the 1 bike cruiser kit and I absolutely love it. Easy to install, made of quality material and very solid once installed. We have used it several times already and have received many compliments on it and would recommend this product to anyone. 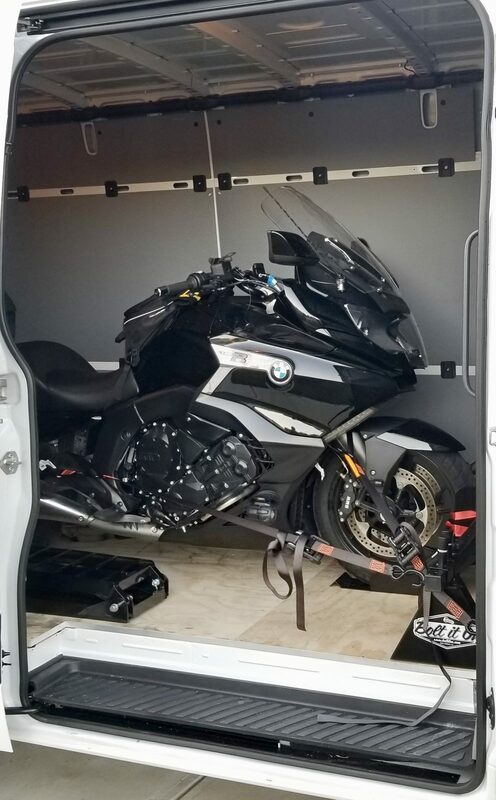 We were a first time transporter of the motorcycle, typically we ride it everywhere, so I needed something to make me feel at ease that the bike would be safe and secure. This definitely does that for me. Thank you, Scott and crew, for such a great product. This is a must have item to securely tie down your bikes. Favorite activity when using our rack? (ex. 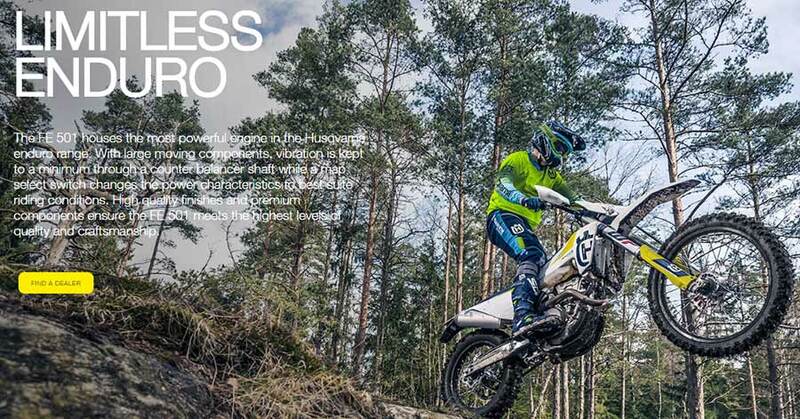 Trail Riding)Testing the new Husqvarna dual-sports out in the woods! 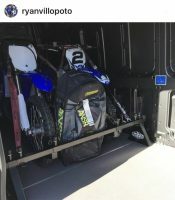 The Bolt It On motorcycle rack is the simplest, sturdiest and cleanest way to properly transport your bikes in a van or trailer. It installs in minutes and allows you to securely transport your bikes without damaging you passenger seats, van or trailers walls. Why didn’t I think of this? 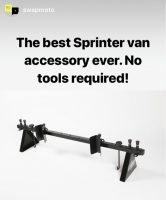 We’ve got the grab handles and 3 dirt bike rack for our Transit Van. Install was super easy and painless, and the rack kept our bikes solid. 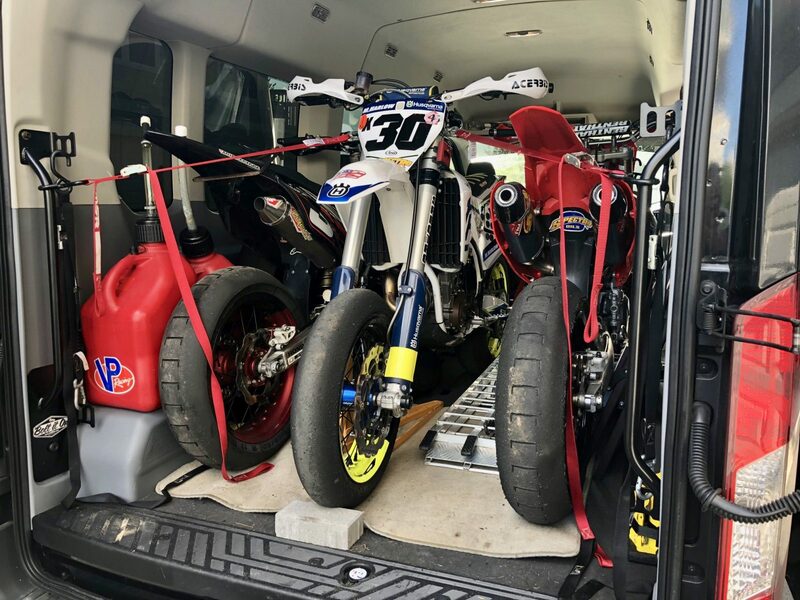 It’s great for us to swap between passenger seating and dirt bike transport very quickly.